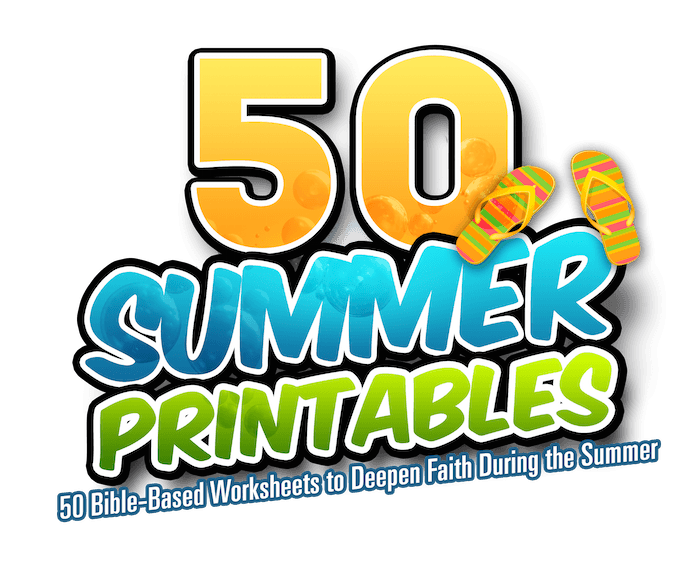 Keep Jesus active in children's hearts during the warmer months with our 50 Summer Printables! When school's out, kids & families shift into "summer mode" pretty quickly. Suddenly, Jesus is competing with family vacations, the ice cream man, and trips to the beach. School might be out, but that doesn't mean we should halt children's spiritual growth and development for an entire season! The trick is to supply kids with activities that grow their faith, but FEEL like summer fun. 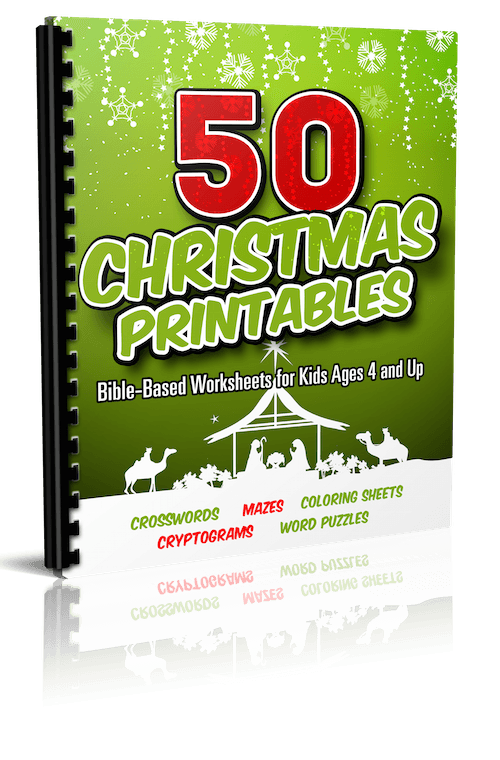 Our printable worksheets are a place where kids can draw, complete puzzles, answer fun and thoughtful questions, and be introduced to the thought that Jesus loves to have fun, too! These work equally well at home (when the dreaded "I'm bored" strikes) or at church. For younger kids, we have coloring pages, drawing journal prompts & easier mazes. For older children, we have cryptograms, journal prompts, word puzzles, & crosswords—a variety that should fit every age group! Don't Waste a Single Minute! Perfect 5-15 minute time fillers for teachers & parents! We have a wide range of printables to keep all ages happy, learning, & challenged. Our basic coloring sheets are great for the little ones & our cryptogram puzzles will keep even the most mature 12 year olds engaged. There is truly something for everyone! Print our as many worksheets as you need, year-after-year! Keep a folder in your desk or on the kitchen counter for those moments when you need to fill 5-15 minutes with structured fun. Let’s face it, we all need to keep the kids busy while we cook, clean, work, fold laundry, answer emails, etc.! Instead of a TV show, how about giving them a stack of fun Summer Printables? Do you have a children’s table at your family get togethers? Instead of having to “shush” kids who are getting a little rambunctious waiting for dinner or dessert, give them something constructive to do! Our church often sets up information booths at various community events. We always have a “childrens table” set up for kids loaded up with these Printables. Every classroom should have a “flu folder” during the winter loaded with these printables that we can whip out if a teacher (or student) suddenly falls ill. Sometimes a lesson doesn’t take quite as long as we thought it would, these can help fill in the gap! Also great for when children arrive early or are waiting to get picked up. Are you heading out on a long trip by air, train, or car? Print out worksheets to keep the kids busy (& thinking) during your travels. Display the children’s coloring sheets & puzzles on a church bulletin board outside your Sunday School classroom. Every year I roll up a set of 5 Printables for each of my students and tie a bow around the package (it looks like a little diploma). I give them this little gift on the last Sunday School before school gets out. The kids LOVE getting a fun surprise, and the parents always thank me for giving a present that kept their kids entertained while they got something off their to-do list! 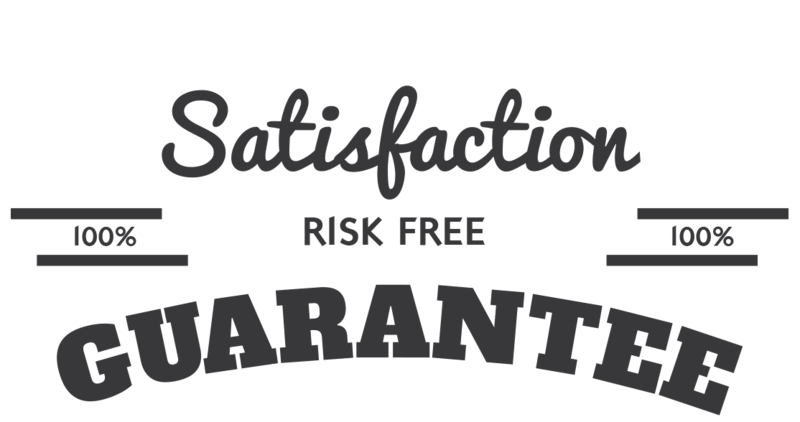 The printables are delivered in PDF format, so you can download them to your computer, or directly to your mobile device. Print Out As Many as you Need! Print out the worksheets on your home computer! Print out a single sheet or 50- whatever fits your needs. And don’t worry- you can print more anytime! We are so sure that you will love the 50 Summer Printables that we are offering an unconditional 100% money-back guarantee. YES, I want in! 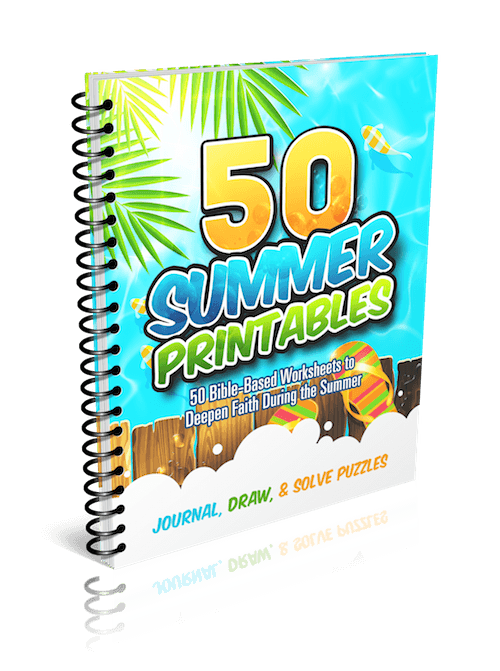 I want access to the "50 Summer Printables". Please give me INSTANT access right now!